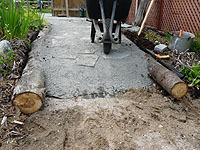 For a better ciculation throughout your yard, you can build a garden path for cheap using gravel or mulch as material. Dig out the path's shape and form the trench. 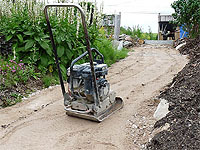 Add crushed stone in the bottom of the trench and compact it with a plate compactor or tamper. For a realistic look and create a depth effect create a meandering path. 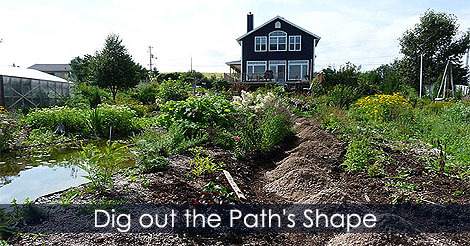 Learn how to excavate a meandering garden path.